Rated # 1 Nightclub in Times Square. Tickets for Copacabana New Years Eve 2020 are currently not on sale. Visit BallDrop.com to view the hottest New York New Year’s Eve Parties in Times Square. With events for all budgets, ages and tastes, you will find the perfect New Years Eve experience. If you have any questions feel free to call us at 212.201.0735 or email info@balldrop.com. The countdown to midnight has already started. Where will you be at Midnight? It's no secret that one of the most popular destinations in the world for the most highly anticipated holiday party of the year – New Year's Eve – is New York City. It's all about the sights, sounds, and unique entertainment that this city has to offer. It hosts some of the best nightlife venues in the country, and when New Year's rolls around, things are amplified immensely! 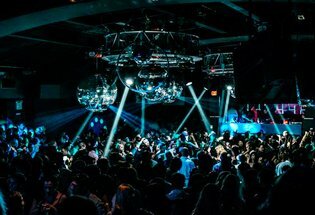 But if you're not up to staying outside to watch the ball drop, then head inside to one of the most sought after parties that NYC has to offer. That's right folks, tickets for Copa Cabana's sought after event are already on sale! Featuring top-notch entertainment, music served up by one of NYC's hottest DJs, and plenty of surprises in store, this is set to be the celebration of the year. New Year's Eve is a day that's to be remembered for years to come, so why not attend a party that's highlighted by full-throttle entertainment. Tickets are selling quick for this one, so stake your claim at one of NYC's best parties while you can! Bring your friends, enjoy drinks, and be prepared to create some great memories. The Copacabana is comprised of three floors plus a private rooftop. General Admission will have free flowing access to both the 2nd and 3rd floors of the event, Supper Club and Main Room. Standing VIP ticket holders and Rooftop Table ticket holders will have access to all 3 floors including the Rooftop. The penthouse in the rooftop is solely for all Penthouse ticket holders. Traditional Seafood Paella with Mussels, Clams, Chorizo, Shrimp, Chicken, and Vegetables, over Rice. 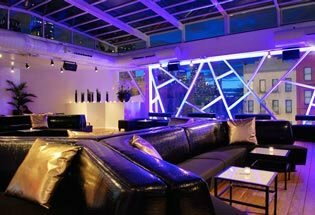 Penthouse 760 is the newest rooftop club in the city located in the heart of Times Square. Have a question? Fill out the form below and let a New Years Concierge help plan your New Years! Ball Drop is the largest producer of New Year's Eve events in Times Square. 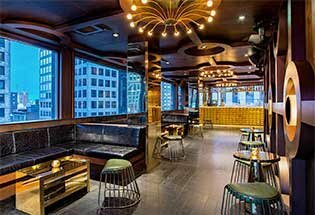 We provide access to the widest selection of New Year's Eve experiences at the most popular lounges, nightclubs, bars, restaurants, attractions and hotels across the Times Square area. With events for all budgets, ages and tastes, you are sure to find the perfect New York City New Years experience for you and yours. New Years Eve is the number one holiday to celebrate with friends, family or that special someone. Not sure where to go? One of our New Year's Eve Specialists will help you plan the perfect evening. The countdown to midnight has already started. Where will you be at Midnight? ©2019 Ball Drop, LLC. All rights reserved.